I'm currently obsessed with INGLOT, so I hope you won't get bored when I keep talking about Inglot products in the days to come. Just 3 things this time. Actually I picked up 5 products , then kept 2 back with the thought that if I wanted them bad enough I'd go back to the store after a stroll around the mall- a little tip I read in Cosmo to avoid compulsive buying. 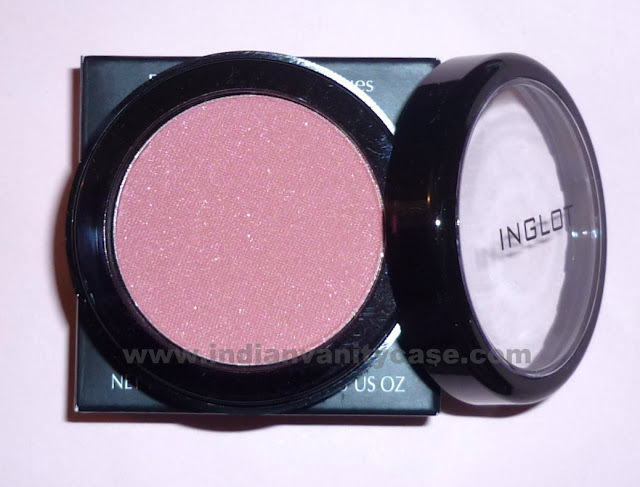 Face Blush #32 (Rs.640) ~ A coral blush with silver sparkle. The tester of this looked so good in the pan, my knees went weak. Testers are always lighter than new unopened products coz of daily exposure to light. I was a little disappointed to see this new blush looking a little darker than the tester, but it still looks gorgeous. 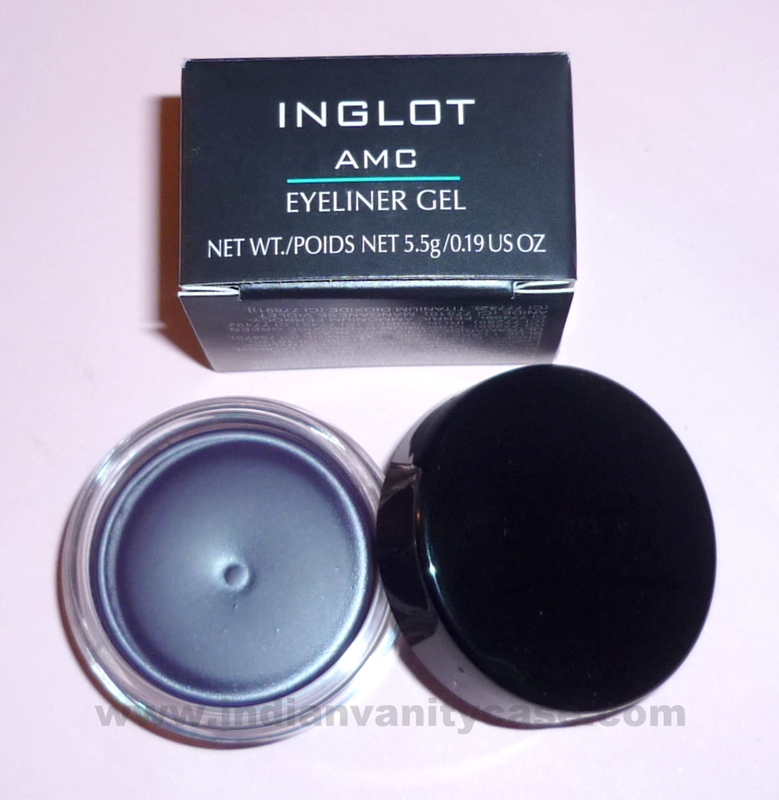 Matte Collection AMC Eyeliner Gel #75 (Rs. 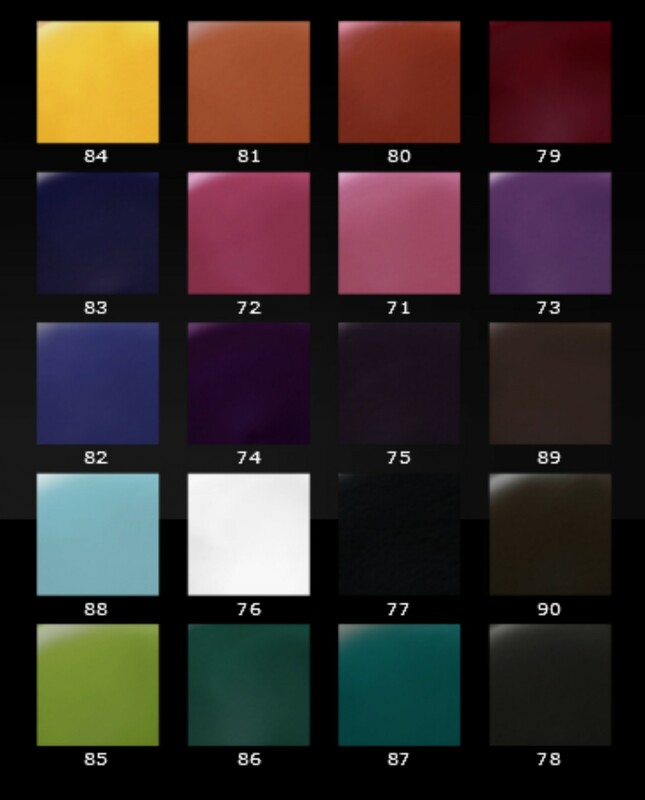 604.44) ~ This is a dark/blackened purple color, not navy like in the pic. Will swatch it in daylight to show you the real shade. Long-lasting, waterproof formula. Can also be used as an eyeshadow or body painting gel. The Eyeliner Gel is available in 20 gorgeous shades! It was so hard to pick just one color. 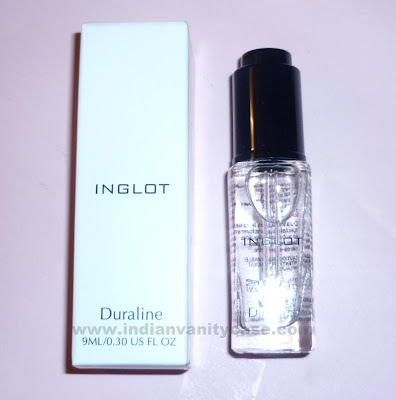 Duraline (Rs.435.56) ~ This is a special transforming liquid that will turn any powder eyeshadow into a liquid formulation. I have a feeling it's going to be one of my favorite things. I think it's like the MAC Mixing Medium. Will try this with pigments, variety of eyeshadows & glitter and let you know how it fares. Reviews & swatches of these coming next week. Have a fun weekend & Diwali everybody! I want the Duraline so bad. Mixing medium is pro-only. This is supposed to moisten dried out gel-liner. My blitz and glitz fluidline is dried out so I have to get this!! Lovely haul! I wish I had access to this brand! i might go and pick duraline first :) will wait for the swatches of eyeliner and blush..
lovely haul dear..me too wanna try the duraline.. Wonderful makeup.You know how to make-up as well.I`m waching sometings y make-up videos.So greats! Happy Diwali Cynthia!! Great haul...Like the eyeliner gel. Hey i tagged you for an award. Hey Cynthia! Love ur blog - have got quite a few things (colorbar just earth and ponds age miracle to name a few) after reading ur reviews. Wud be visiting Bangkok next week. Please suggest a few make up and skin care products that I cud pick up. Hey Roopa, thanks! Oh that's so cool! U should definitely get some stuff from 'Oriental Princess' a Thai brand I love. If u want cheap but nice makeup n clothes go to Platinum mall in Pratinum Street, they sell at wholesale prices. U can check out The Face Shop. Skin Food & Etude House. Nice picks, honey! especially the Duraline! Will do them soon Rashmi!